Sanction cannot be held invalid only for the reason that in the administrative noting different authorities had opined differently before the competent authority took the decision in the matter, said the Bench. The Supreme Court has dismissed a petition filed by Vivek Batra, former Additional Commissioner of Income Tax, Mumbai, challenging the sanction order issued by the Union Finance Ministry to CBI to prosecute him in a corruption case. The Bench comprising Justice Ranjan Gogoi and Justice PC Pant was hearing an appeal filed by Batra challenging the Bombay High Court judgment, which upheld the sanction order. The CBI registered a case against Batra on April 5, 2005, under section 13(2) read with 13(1)(e) of the Prevention of Corruption Act, for disproportionate assets alleging that he accumulated the assets exceeding Rs 1.27 crore disproportionate to his known sources of income indulging in corrupt practices. Senior Advocate KK Venugopal argued that there was categorical opinion of the Finance Department that the evidence laid before it was not sufficient to grant sanction for prosecution. It was pointed out that there was difference of opinion between the Finance Ministry and the CVC. Not only this, even the DoPT opined that warning to the officer could be sufficient. It was further submitted that the earlier competent authority (Finance Minister, Government of India) had referred the matter back to the CVC, as such, the sanction for prosecution stood declined, and grant of the sanction by the successor Finance Minister cannot be said to be a valid sanction for prosecution. It is further argued that the Rules of Business were not followed, as such, it cannot be said that the sanction was accorded by the competent authority. At the outset, the apex court made it clear that the sanction cannot be held invalid only for the reason that in the administrative noting different authorities had opined differently before the competent authority took the decision in the matter. It noted that there is no dispute that for an IRS officer cadre, controlling authority is the Finance Minister of the Government of India. According to the bench, what is required under Section 19 of the Prevention of Corruption Act, 1988, is that for taking the cognizance of an offence, punishable under Sections 7, 10, 11, 13 and 15 of the Act committed by the public servant, is necessary by the Central government or the state government, as the case may be, and in the case of a public servant, who is neither employed in connection with affairs of the Union or the State, from the authority competent to remove him. Justice Pant has observed that it is evident that there had been proper application of mind on the part of the competent authority before the sanction was accorded. “Our perusal of the said record does not indicate that any decision was taken by the competent authority, at any point of time, not to grant sanction so as to give the decision to grant sanction the colour of a review of any such earlier order, as has been contended before us,” he added. 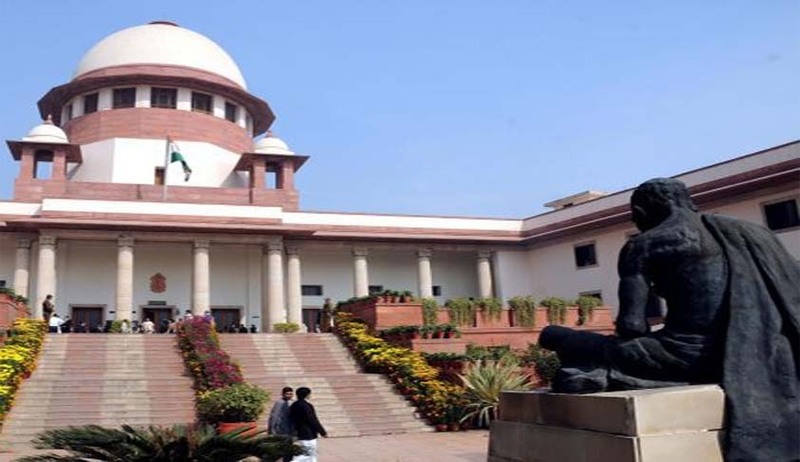 The bench clarified that the opinion of CVC, which was reaffirmed and ultimately prevailed in according the sanction, cannot be said to be irrelevant for the reason that clause (g) of Section 8 of the Central Vigilance Commission Act 2003, provides that it is one of the functions of the CVC to tender advice to the Central government on such matters as may be referred to it by the government.